The global biomarkers market is witnessing a tremendous rise in its valuation, thanks to the increase in diagnostic applications of biomarkers. The augmenting investments for research and development activities in the pharma and biotech companies, rising number of CROs, and the low cost associated with the clinical trials in emerging economies are also boosting this market. Going forward, the high prevalence rate of cancer and novel initiatives for biomarker research are likely to propel this market in the years to come. On the flip side, heightened need for capital investments and the low cost-benefit ratio, various technical issues associated with collecting samples and their storage, and the poorly suited regulatory and reimbursement systems are likely to act as restraining factors to the growth of this market over the next few years. Hitherto, North America, with massive share, has been leading the global market for biomarkers. With technological advancements and the increasing focus on research and development activities, this regional market is likely to remain on the top over the forthcoming years. Asia Pacific, among other regional markets, is expected to witness high growth in the years to come, thanks to the presence of ample raw materials. A biomarker is considered as a biological gene or molecule which is being used extensively across the globe in order to evaluate accurate pharmacologic responses, biological procedures, and pathogenic procedures. In addition, biomarkers are used to check body’s response to a specific treatment for a condition or disease. This helps the medical professionals in making effective clinical decisions, which will further assist in diagnosing the health of patients. According to the research study, the global biomarkers market is predicted to register a progressive growth rate throughout the forecast period. In the last few years, there has been a significant research on biomarkers, owing to which the application areas are likely to expand. This is estimated to benefit the global biomarkers market in the coming years. The use of biomarkers for effective therapeutics for cancer is likely to generate potential growth opportunities. In addition, the key players in the market are emphasizing on developing economies across the globe in order to create a niche and expand their presence in the next few years. The approval for the use of biomarkers by the U.S. Food and Drug Administration (FDA) as a surrogate end-points in the treatment development process is one of the major factors is projected to fuel the growth of the global biomarkers market in the next few years. In addition, the key players are focusing on new product development is anticipated generate potential opportunities for key players operating in the global biomarkers market in the next few years. On the other hand, the high cost of sample collection, tests, and storage is one of the key challenges being faced by the leading players in the global biomarkers market. This is expected to hamper the growth of the market in the next few years. Among the key regional segments, in 2016, the North America market for biomarkers led the global market with a massive share. As per the research study, this segment is estimated to remain in the leading position throughout the forecast period. The robust growth of this region can be attributed to technological developments and the rising focus on research and development activities. The rising demand for biomarkers from diverse industrial sectors is estimated to accelerate the growth of the North America market in the next few years. On the other hand, Asia Pacific is projected to exhibit a progressive growth rate throughout the forecast period. 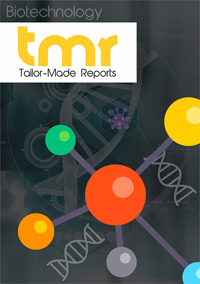 The growing use of biomarkers for several diagnostic purposes, the rising incidence of chronic diseases, and the rising rate of outsourcing of pharmaceutical research and development activities are projected to supplement the growth of the Asia Pacific biomarkers market in the next few years. Some of the prominent players operating in the biomarkers market across the globe are Qiagen N.V., Bio-Rad Laboratories, Inc., Meso Scale Diagnostics, LLC., EKF Diagnostics Holdings, Inc., Enzo Biochem, Inc., Merck Millipore, Biosims Technologies Sas, Cisbio Bioassays, Signosis, Inc., and Perkinelmer, Inc. A significant rise in the number of players projected to enter the market is estimated to strengthen the competitive landscape of the global biomarkers market in the next few years. Furthermore, the growing focus of key players on innovations and technological developments is likely to encourage the growth of the global biomarkers market in the next few years. In addition, the expansion of the product portfolio is estimated to accelerate the growth of the market and benefit the prominent players operating in the global market.